Originally, the brick Federal building was a modest tenant house on a nearby farm and modernization through the years was minimal. The beautiful ash floors, the woodwork, the doors and hardware and many built-in cabinets have survived. There is an original traveler's room in the upstairs where weary guests were invited to stay overnight. The traveler's room could only be accessed from an outside stairway which is still visible. 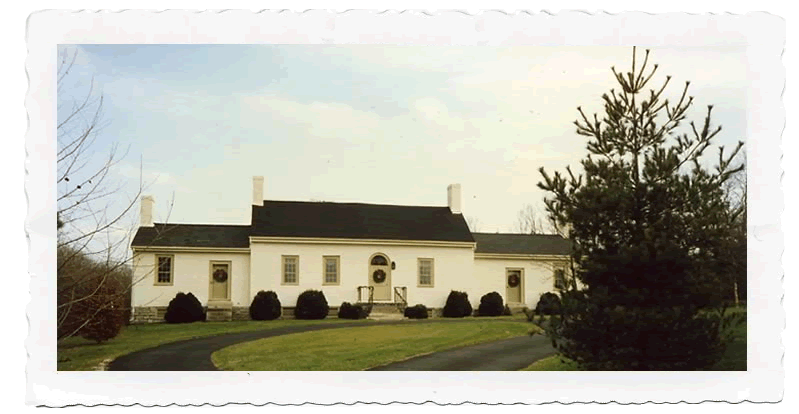 Built as early as 1795, the Federal house once stood on Ironworks Pike in Scott County. The house was moved in April 1971 to make way for a new subdivision (Ironworks Estates) to its present location near Midway, in Woodford County. The original wings were restored by Jim Cogar (former curator at Shaker Village in Harrodsburg). Mr. Cogar was also the first president and curator at Colonial Williamsburg, VA. With an addition to the rear of the main house, it made it a beautiful 9-room country estate. Thus, the new name of Scottwood, reflects both the old and the new locations. 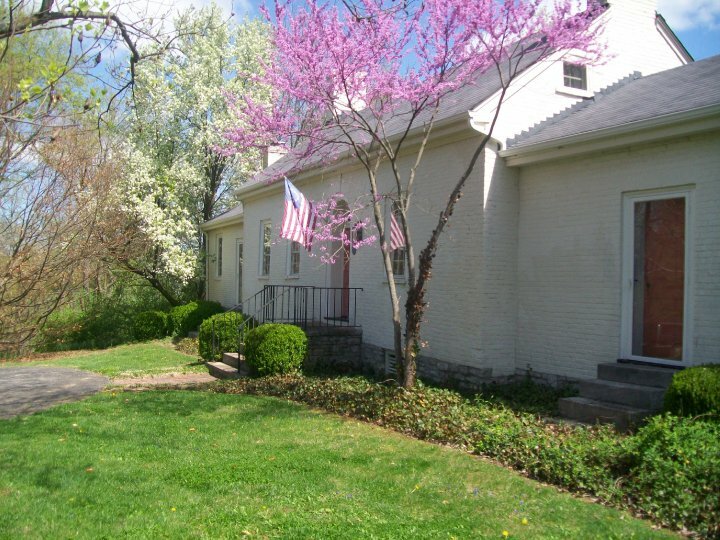 At Scottwood, you will be welcomed to our 1795 Kentucky home turned into a top bed and breakfast. You will enjoy the history of the house, the view of the thoroughbred horse farm overlooking the South Elkhorn Creek and the surrounding countryside. Whether you're on a weekend getaway for two, a fun filled family vacation, or traveling for business, you'll find Scottwood the place you love coming home to. Scottwood remains unhurried and unspoiled. It is romantic and serene. It's a special place that will draw you back again and again. My father and I had an amazing time staying at this location. Host Tim and Annette are very welcoming and have become instant friends. You will experience amazing accommodations and a fantastic breakfast in a beautiful rural setting.